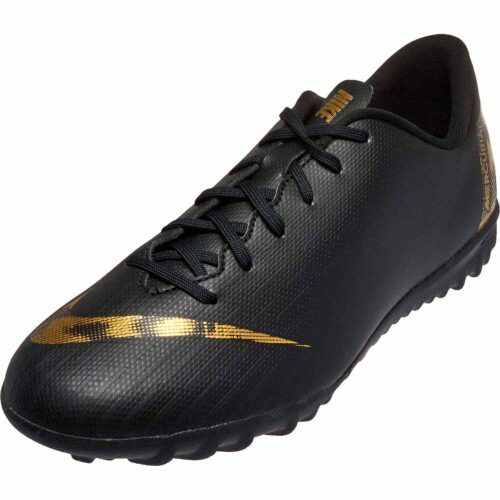 Make sure you have premium turf soccer shoes on gameday. 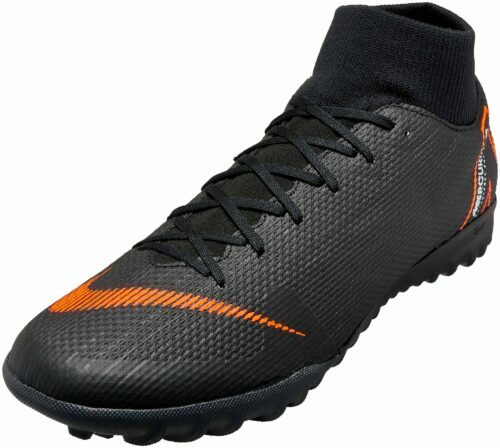 Turf is a unique kind of surface, and it requires a different kind of boot. 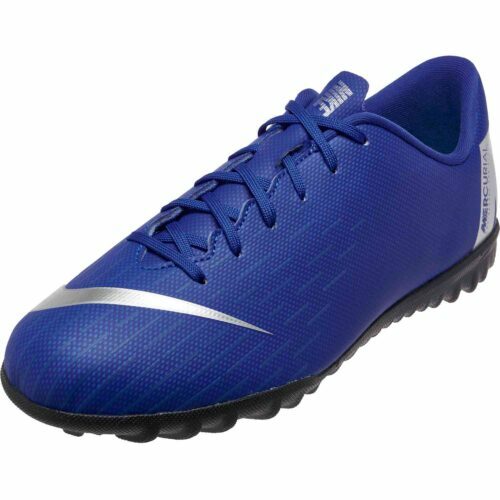 Keep your footing, enjoy a natural feel, and torch your rivals with indoor soccer footwear from SoccerPro.com. 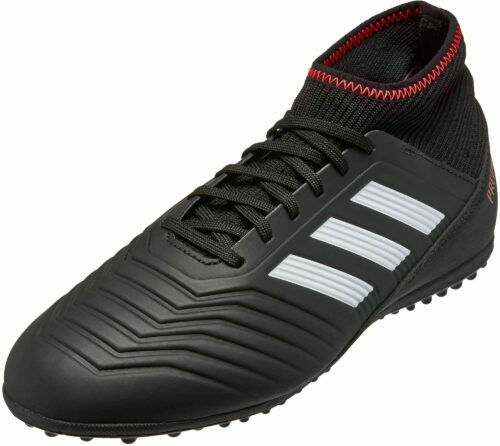 If you ever stepped onto an artificial pitch with the wrong kind of shoe, you probably realized your error pretty quickly. Injury potential is high if you’re slipping, sliding, or sticking. 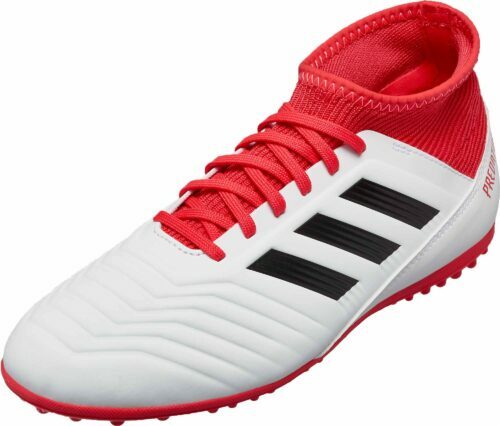 We all know that indoor winter league can be extra competitive (perhaps due to pent up energy and seasonal depression), so make sure you have the right artificial soccer shoes before you step into the battle. 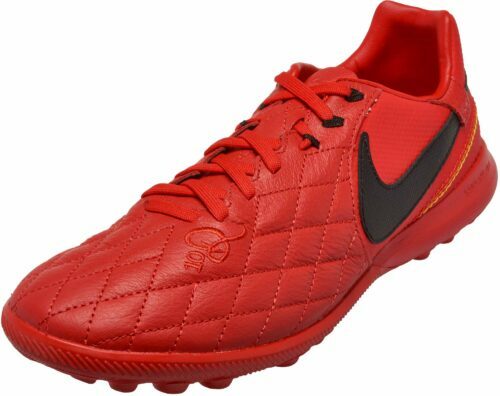 Shop a selection of the latest styles from SoccerPro.com. Whether you’re a beginner who is just learning the basic fundamentals, or a seasoned pro who has seen it all, you know how important it is to have great traction on the pitch. 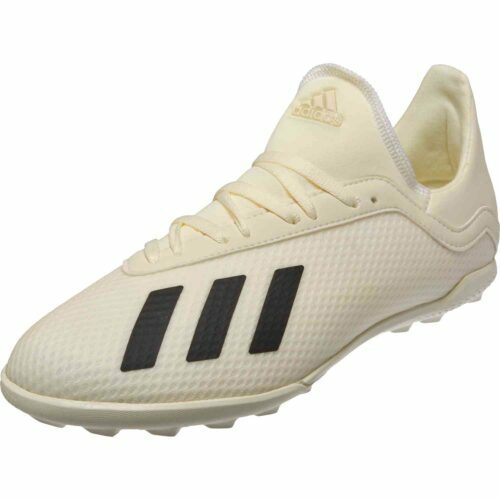 Get good grip with your plant foot, and fire an accurate shot or pass downfield. 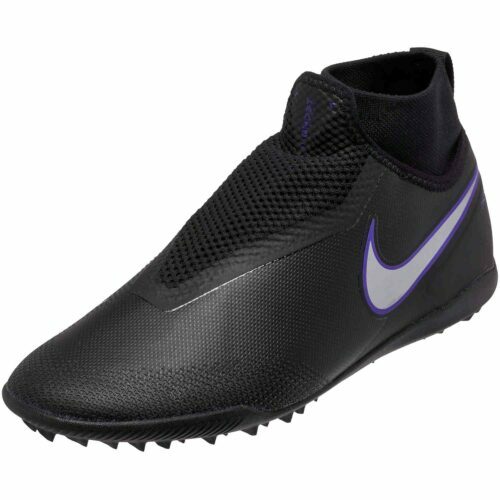 Improve your agility and explosiveness with amazing traction by your side. 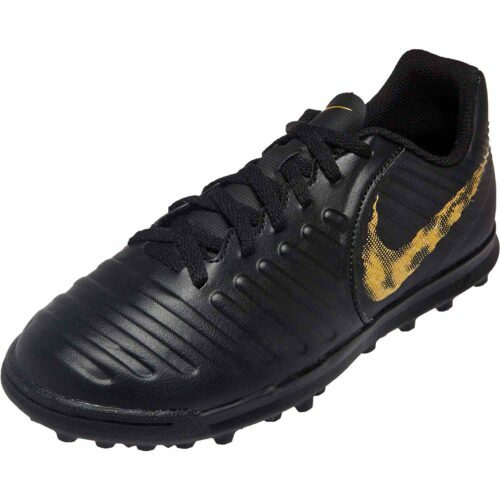 Turn on a dime and counter your opponent’s moves with cleats made specially for field turf. 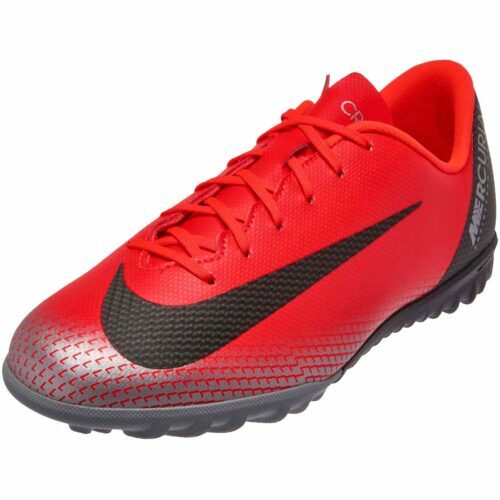 Invest in a solid pair of indoor turf soccer shoes and leave the competition in the dust. 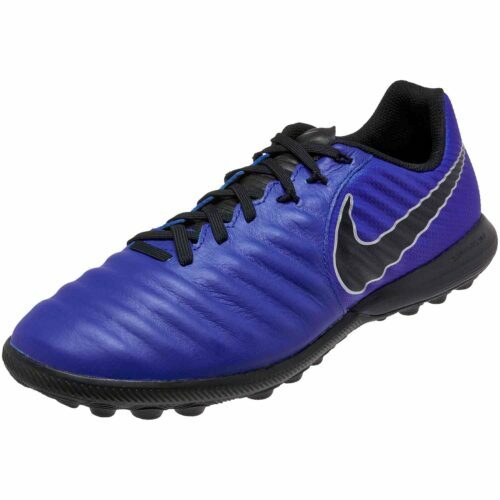 Indoor soccer can be a slightly different game, but the things you need from your footwear remain the same. 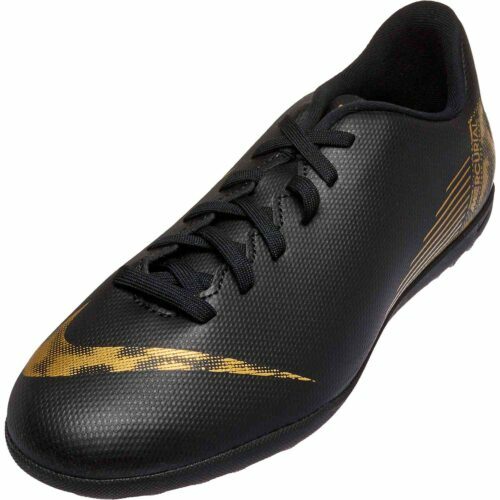 Of course, excellent grip is important; it’s the number one thing cleats are designed to provide. 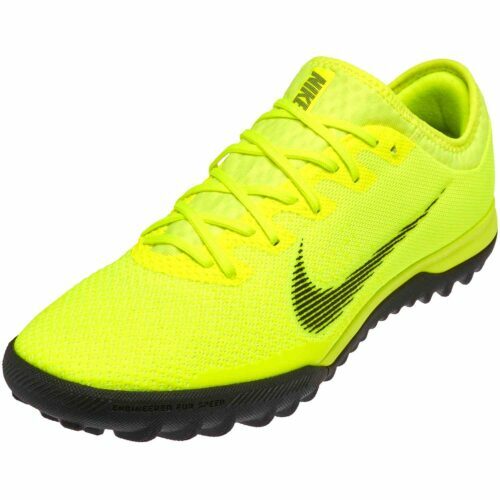 However, modern cleats from top brands offer much more. 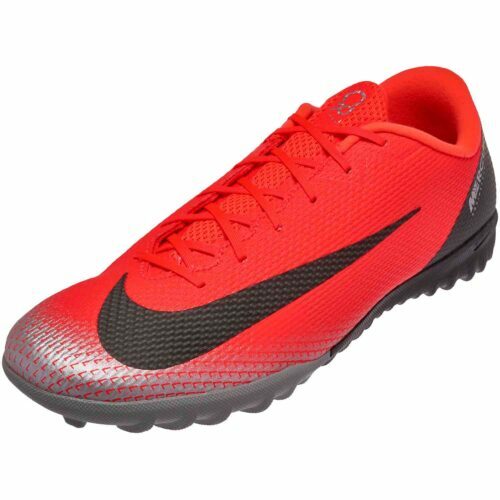 Nike® turf soccer shoes feature Flyknit™ and React™ technologies to improve touch on the ball, even at high speeds. 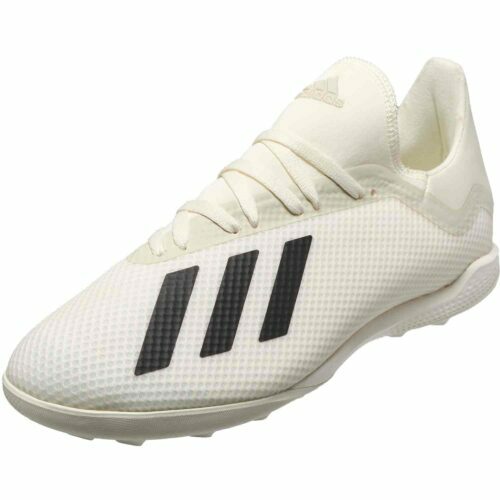 Popular adidas® turf shoes offer OrthoLite™ sock liners and impact cushioning. 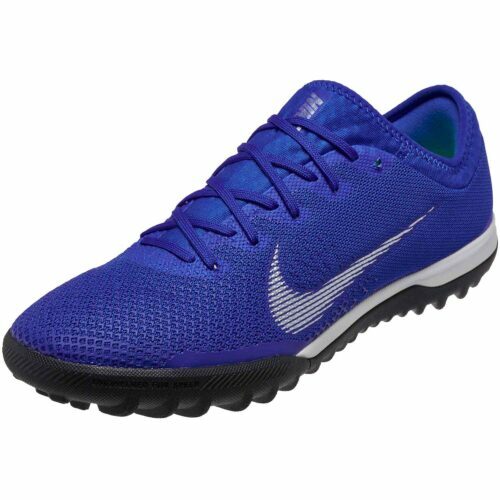 All designs in this turf collection are made to help regulate temperature, support your arches and ankles, and provide a natural ball feel. 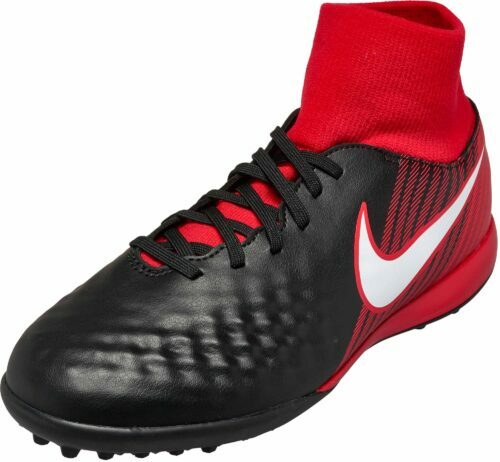 Toss out those old boots and upgrade to a pair of artificial turf cleats from a well-respected manufacturer today. 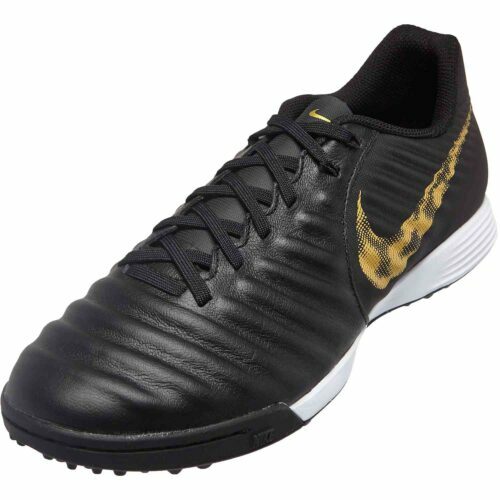 With fast shipping and easy returns, SoccerPro.com makes it easy to get the right footwear on your feet for game day. 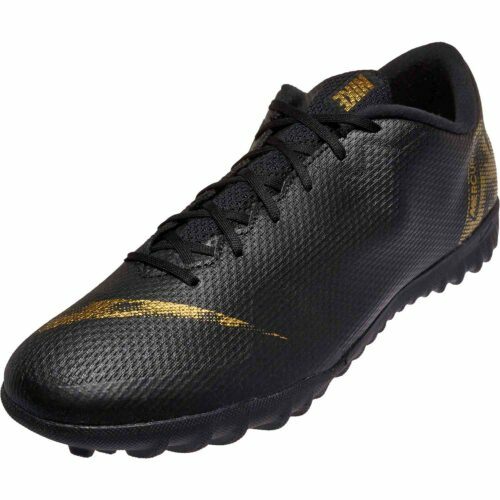 Practice hard and play to win in artificial turf soccer shoes from this line.